New perspective afforded me a bit more clarity this year. I’ve spent the better part of 2018 questioning my role as a tea content writer, and pondering the future of this here blog. Both my interest and momentum had stagnated a bit. A return to the trade show fray promised to re-focus—if not, revitalize—my purpose in the industry. Put simply, I got more out of it than I ever expected to. 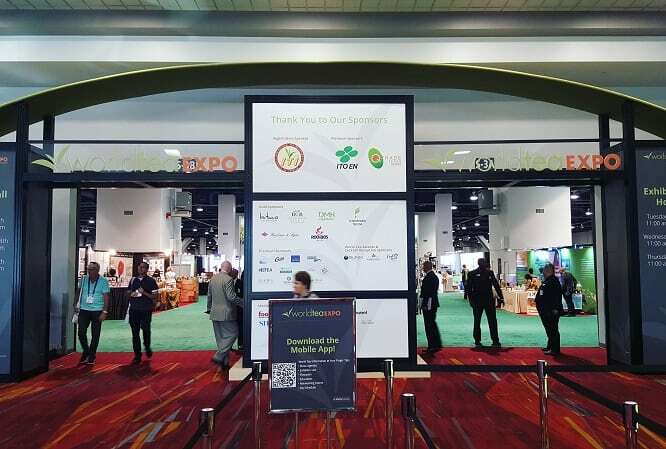 One thing evident, the moment I stepped into the convention center, was how excellent the World Tea Expo educational material was this year. The speakers, panelists, and professionals harvested this year were among the best. Years past, I focused my attention on classes hosted by people I knew. Most of the material presented contained beats of info familiar to me. 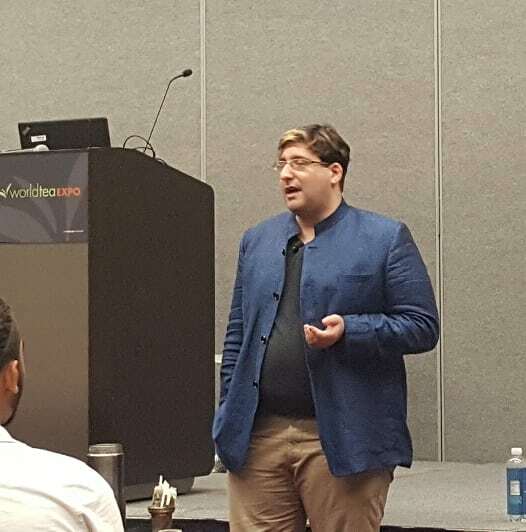 He provided wonderful examples of why the food/service/hospitality sector generally viewed specialty tea with a cumbersome eye, and provided ways for future tea vendors and consultants to circumvent that. As a long-beleaguered hospitality worker, I can attest to his advice being sound and practical. 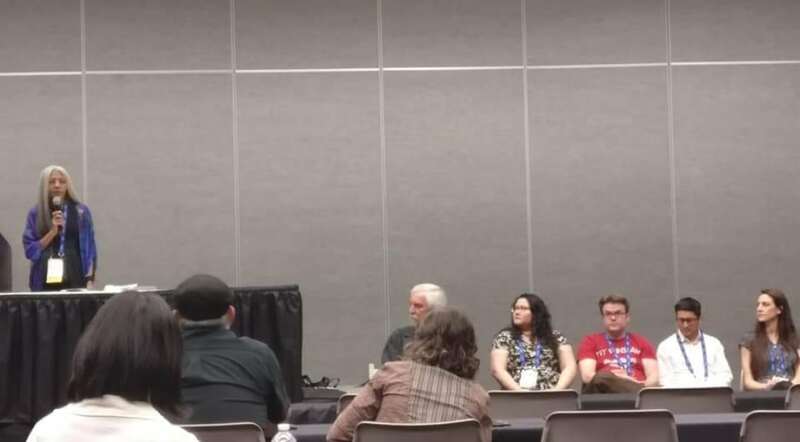 Of course, I’d also be remiss if I didn’t mention the panel I whined/weaseled my way onto: the 6th annual Tea Bloggers Roundtable. This year, we hosted a three-hour-long (!!!) exercise in blogging. 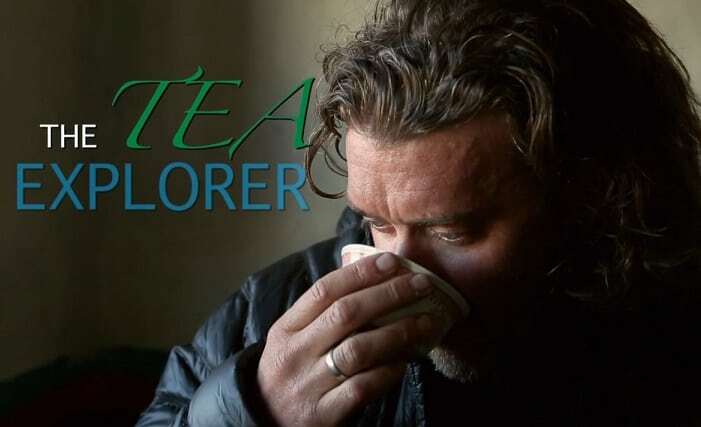 We sat back with the audience and watched the new documentary—The Tea Explorer—featuring Jeff Fuchs. We were expected to take notes and convey in the panel discussion about how we would blog about said film. Each panelist provided their own spin (or in my case . . . two). Maybe at some point, I’ll get around to talking about that. Or maybe not. I like Jeff, and I don’t want his beautiful blue eyes to sear through my soul. In short, the classes were so good this year that I wish I attended more of them. Both the venue and the amount of participants shrank compared to years prior. Compared to 2016—the last year I attended—there were 30% fewer vendor booths, and not all of them were tea specific. A few aggressive credit card companies (or the like) were also sprinkled about. But of the participants that were there, everyone seemed to bring their “A”-game. Tea regions that bordered southern China had a particularly surprising showing. 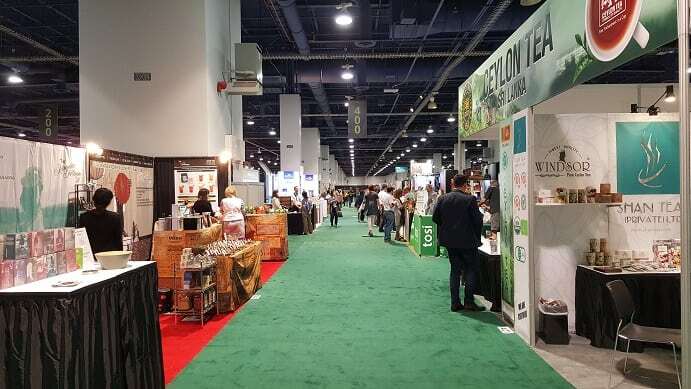 A garden from Thailand, a purveyor of Laotian teas, and a Chinese company hocking teas made from old tree leaf material from Myanmar were particularly noteworthy. South Korea and Rwanda also had strong presences this year. As far as actual teas went, it was a very “white tea” year, which I loved. 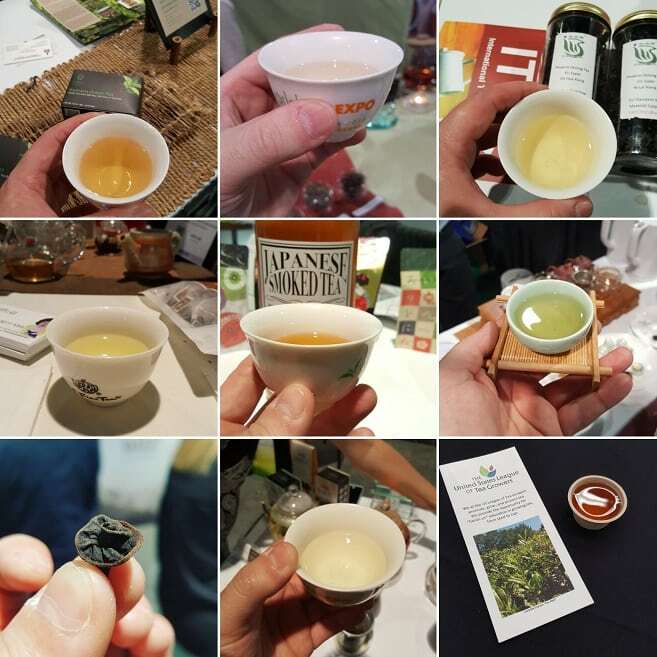 Some of the major single origin providers I favored had white tea offerings that exceeded expectations. Standouts include the new White Peony-esque white tea from Indonesia’s Harendong garden; Chiang Mai, Thailand’s Araksa garden with their “time-of-day” specific white teas—and Nepali Tea Traders with two different plucks of their signature Ama Dablam white tea. And of course, there were other great teas. Too many to list. Attendees didn’t wont for tea to drink. And, sure, there were less participating booths and attendees overall this year, but it felt more comfortable and intimate. Like someone did a factory reset on the smart phone that is the entire Expo. The scaled-back atmosphere may have done it a service. What would a trade show be without off-the-clock celebrations? While I can’t go into too much detail about a couple of them, I will pay close lip service to one planned by tea blogging’s latest talented ingénue: Rie of Tea Curious. 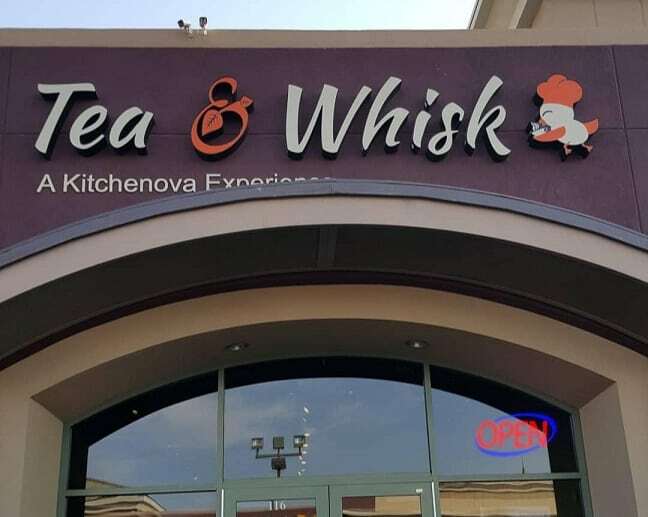 Due to an unhealthily aggressive summer travel schedule, she wanted a chance to see everyone before she hopped on a plane right after the Expo, so she coordinated an impromptu gathering with a tea shop located in Henderson called Tea & Whisk. 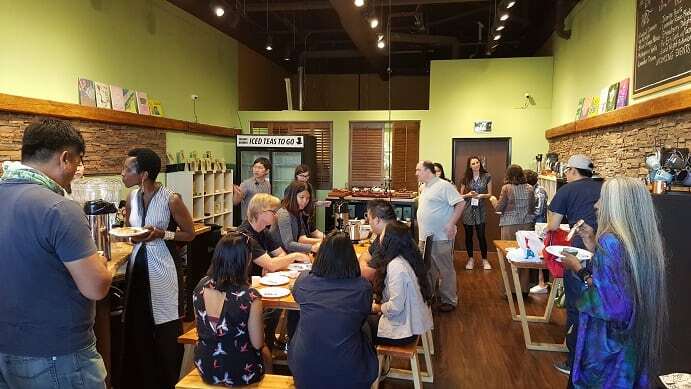 While puerh wasn’t greatly represented at Expo this year, we did have a chance to try some remarkable Yiwu offerings at the shop. 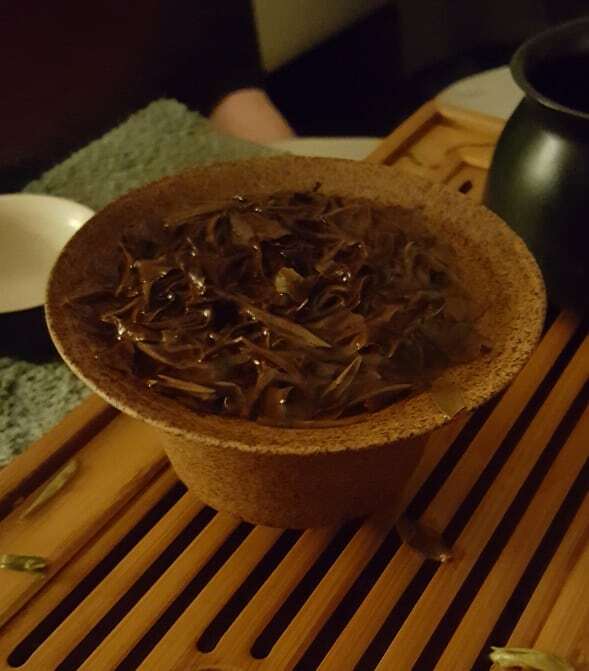 (My second favorite puerh mountain). Along with that, a couple of oolongs from the Goe garden in Taiwan. The tea gardener himself, Alfredo Lin, was also in attendance. As for after-parties on the other nights? . . .Um . . . I’m not sure how much I’m allowed to reveal. But I will highlight that I tried Tai Ping Hou Kui and An Ji Bai Cha for the first time. 2018 is shaping up to be an exceptional green tea year. 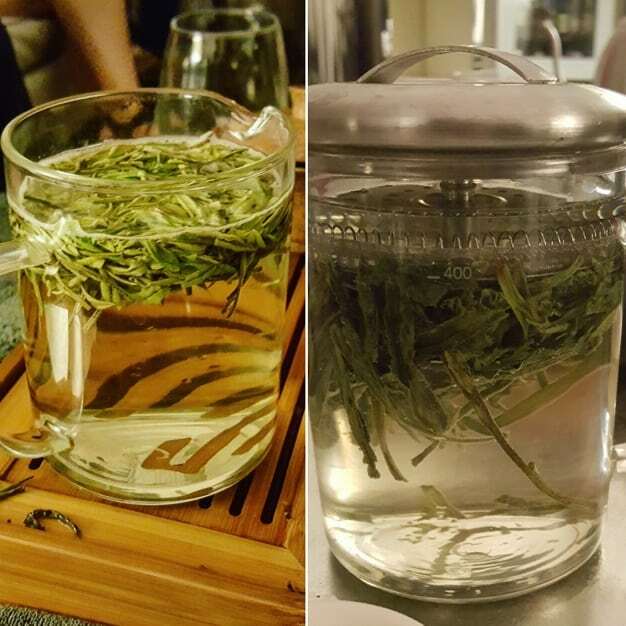 This competition grade Oriental Beauty became the standout tea of the entire week. It was so sweet and soothing, the entire party went dead silent. Very eerie. Both times, I found myself wandering through an empty casino at 4AM, looking as punch-dunk as the average Las Vegas vacationer, but with nary a liquor in my liver. Just a whole lotta tea, and even more mirth. People: Anna Mariani, Rachel Carter, Sara Shacket, Charissa Gascho, Ricardo Caicedo, Rie Tulali, Thomas Shu, and Rajiv Lochan. Images owned by Anna Mariani, Rie Tulali, and Rajiv Lochan, respectively. 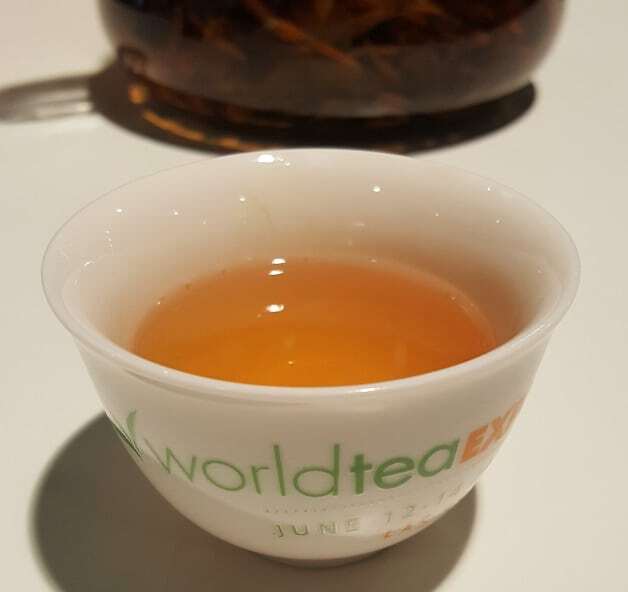 The main highlight of World Tea Expo (as always) is reconnecting with people I haven’t seen in years, or meeting new ones for the first time. As far as that goes . . .
Left to right: Chitose Sashida, Nicole Patterson, Billy Dietz, and Niraj Lama. I met vendor friends I’d only exchanged emails and samples with, and reconnected with old friends over over-priced meals. Jokes were revisited, once only conveyed in 140 characters or less, or through an Instagram filter. Cuppa comradery seemed stronger than ever. 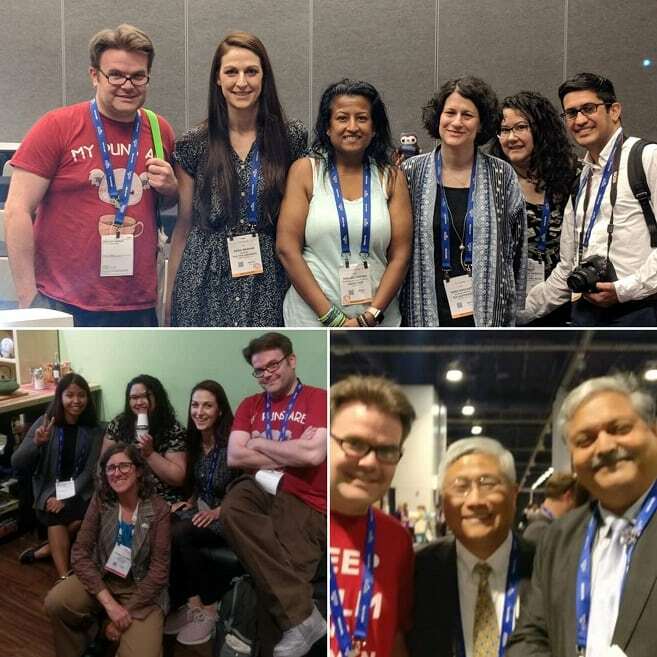 While I attended World Tea Expo with a singular purpose, I left with a newfound purpose. Tea has always been about people, and that was likely the reason I grew jaded with my role in it. I didn’t get out much. I went into this trade show looking for one thing, and found myself being enriched in the tangents from the path I went down. Perhaps that was the point—and path—all along. So good to hear you had a marvelous time!! So glad the event re energized you and your sense of purpose. So fun to read about!! Yes agreed The Leaf is about connection and palate preferences. Nice post! I could almost imagine myself walking there with you. beautiful read. as always. tea people are amongst the most giving and appreciating lads out there. Next year…. 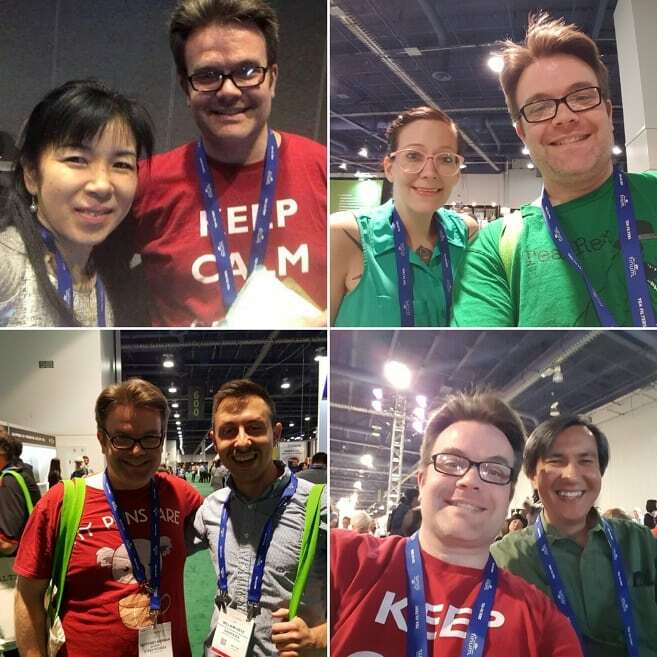 Nice post – really fun and heartwarming to read!